Here's the floor under the back seat, passenger side. Except for the wires, original stuff. 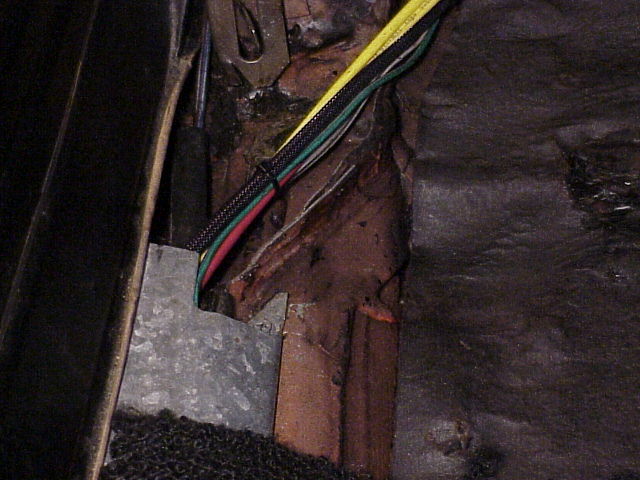 And the wires at the left,, see 'em, coming out of a black sheeve, blue and brown colored? They're original 8 track speaker wires.